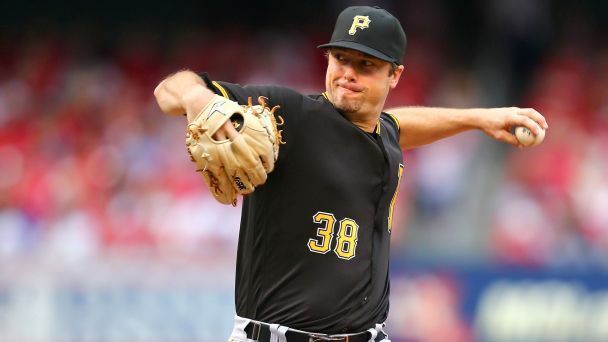 The Yankees have signed LHP Wade LeBlanc to a minor league deal with an invitation to Spring Training. The deal also includes an opt out before the start of the regular season, and a guarantee of a $1 million salary if LeBlanc makes the Major League team. He also has an opt out on June 15, and would earn a salary of $32,000 per month in the minor leagues. LeBlanc will most likely go into spring training competing for a role as the long man in the Yankee bullpen, which aside from Aroldis Chapman and Chasen Shreve, is very short on left handed arms. He spent time as a swingman for the Mariners in 2016, appearing in 19 games (eight starts), and pitching 50 innings with a 3.77 ERA, 41 strikeouts, 52 hits, and just nine walks. After being traded to the Pirates, he threw 12 innings in relief and gave up just one earned run, while striking out ten and walking two. In 2017 he worked solely out of the Pirates pen, throwing 68 innings with a 4.50 ERA, with 54 strikeouts, 64 hits allowed, and 17 walks. In 2016 and 2017 combined, he gave up a whopping 24 home runs in 118 innings, which works out to a 1.83 HR/9 rate. Hopefully, if he was to make the Yankees Opening Day squad, those home run numbers can find a way to decrease. LeBlanc previously spent time in the Yankees organization in 2014. However, his stay was short, as he threw just one inning, allowing two runs, two hits, and one walk, and was designated for assignment shortly after. Another trade chip for when the time comes, which will probably be very soon.